■ How to launch your media career and be writing sales orders in less than seven days. ■ The 9 mistakes rookies make and what the professionals do differently. ■ How to build a million dollar client list by knowing the five types of client lists. ■ The art of building repeat business. ■ The difference between types of advertising. ■ Three ways to stand out from your colleagues and a secret they’ll never know. ■ How to create free information that’ll be valued by your clients. ■ The secret to making effective presentations that clinch the sale. In The Desk Closest to the Door, Mike Brunel debunks some of myths about selling direct media and provides practical tools you can use straight away to build your sales career. 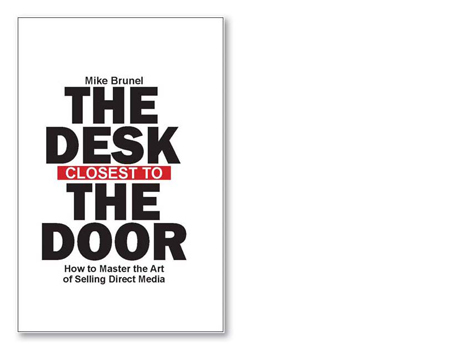 ‘Mike Brunel is one of the most respected sales gurus in the world today … I recommend Mike’s book to any salesperson working in any medium, in any size of market, anywhere in the world.’ – Doug Gold, founder, NRS Media. 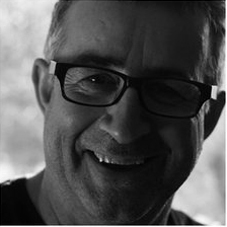 Mike Brunel is an international sales consultant, helping global companies improve how their teams perform in competitive industries such as media. He lives in Wellington, New Zealand. An ebook edition of this book is available at Amazon.com.